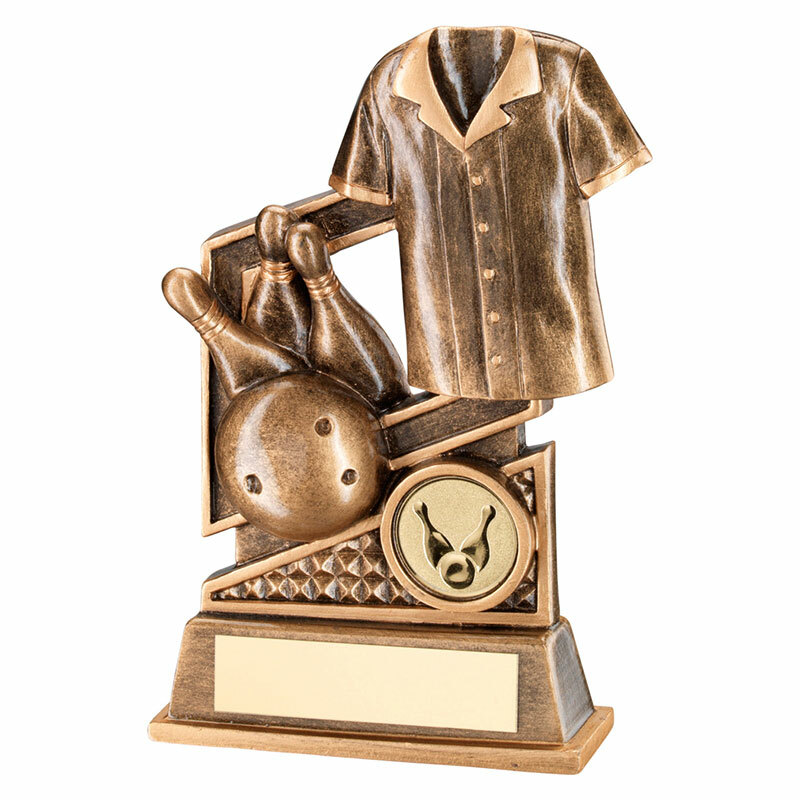 An affordable and versatile tenpin bowling trophy, suitable for both mens and womens awards, boys or girls bowling awards, or both individual and team awards. Crafted in durable resin and finished in an attractive antique bronze and gold colour, they feature a scene with tenpin bowling motifs and a 1in centre, set on a base with engraving plaque. 4.75in (121mm) tall, offered with low-cost engraving.